Annexin IV /placental anticoagulant protein II (ANX4) is a member of the annexin or lipocortin family of calcium-dependent phospholipid binding proteins, and is located at 2p13. Although their functions are still not clearly defined, several members of the annexin family have been implicated in membrane-related events along exocytotic and endocytotic pathways. ANX4 shares 45 to 59% identity with other members and possibly interacts with ATP. ANX4 has in vitro anticoagulant activity and also inhibits phospholipase A2 activity. 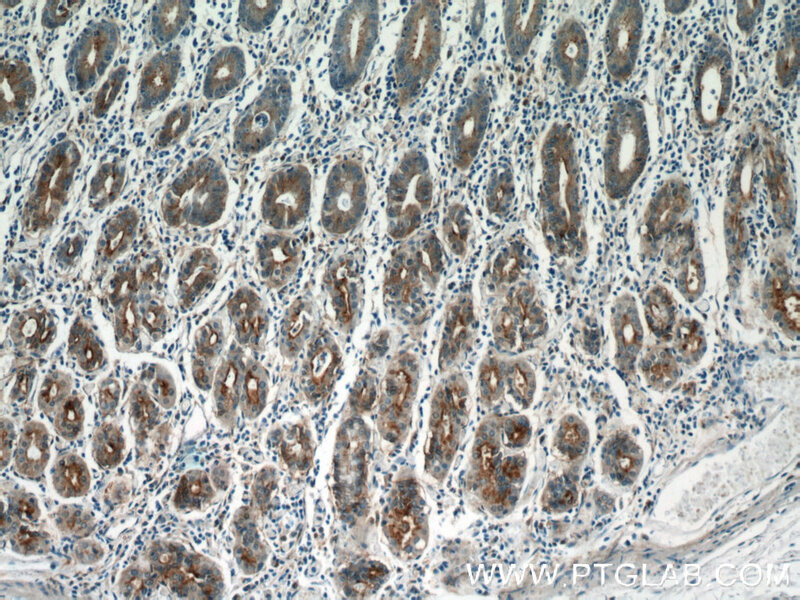 ANX4 is almost exclusively expressed in epithelial cells. In western blotting, we get 36 kDa, 39 kDa(with modification), and 60 kDa( an unspecifc band). Pathogenic natural antibodies recognizing annexin IV are required to develop intestinal ischemia-reperfusion injury. Proteomics analyses of human optic nerve head astrocytes following biomechanical strain. Quantitative proteomic analysis reveals that anti-cancer effects of selenium-binding protein 1 in vivo are associated with metabolic pathways. Anxa4 mediated airway progenitor cell migration promotes distal epithelial cell fate specification.